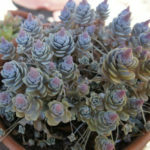 Orostachys iwarenge is a cute, little succulent plant which forms an attractive evergreen groundcover when cultivated in the rock garden. 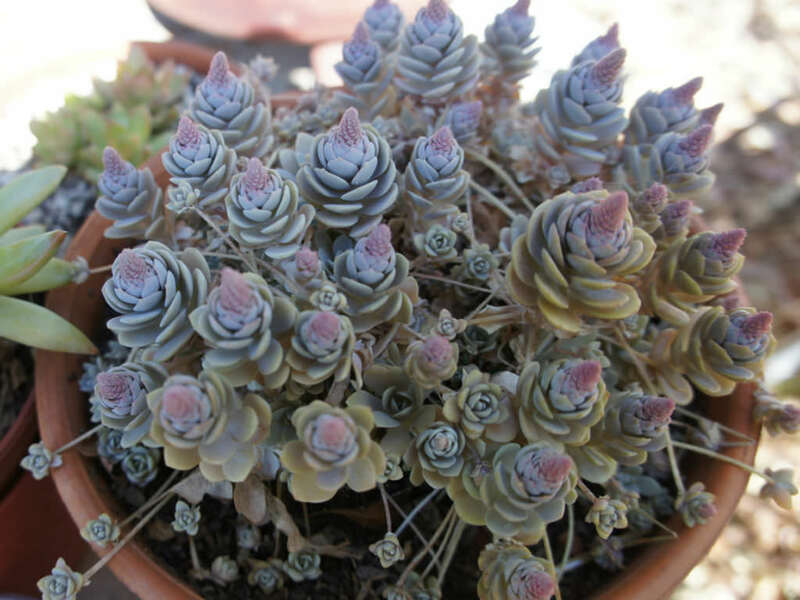 The glaucous, grey/brown, up to 2 inches (5 cm) wide, fleshy rosettes, spread by short stolons to form an up to 1 inch (2.5 cm) tall and 18 inches (45 cm) wide patch. 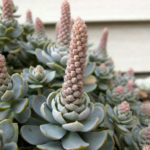 In late summer to early fall, the rosettes are topped with up to 4 inches (10 cm) tall towers jammed with tiny creamy flowers. 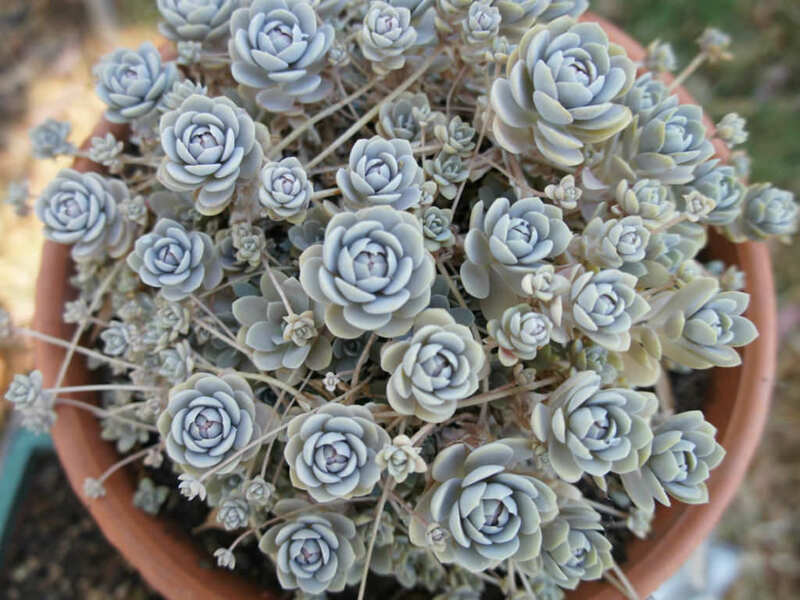 Each flowering rosette dies away but is unnoticed among the mass of smaller rosettes. 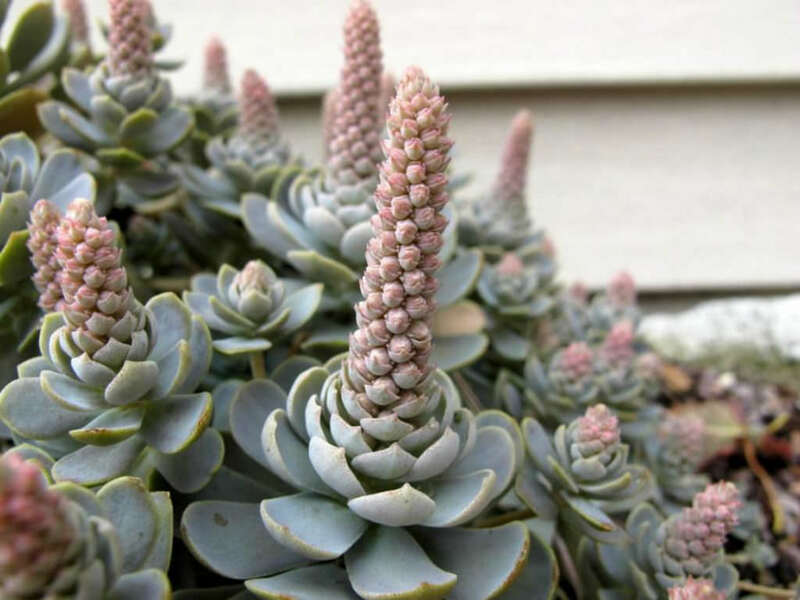 In general, this is a good plant to forget about. 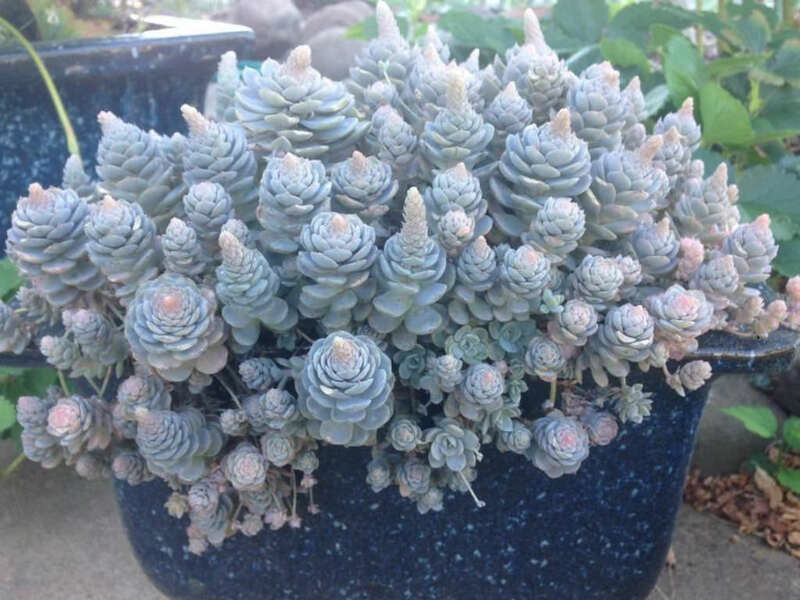 Leave it in a bright sunny location and water very sparingly. Water in the morning so as to prevent water from remaining on the leaves during the night. Remove any dead leaves from rosettes, as dead leaves invite rot and insects. 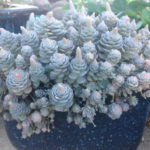 When a rosette has flowered, it will die shortly… – See more at: How to Grow and Care for Orostachys.